Fixed price energy purchasing is suitable for SMEs and larger corporations which prioritise budget certainty. A fixed price energy contract exists when a business agrees to pay a set unit price for gas over a fixed term. This price will not fluctuate as long as the end-user stays within certain pre-agreed usage limits. If you have a well thought out energy strategy, and can time the market effectively, then your business can make big cost savings over the duration of a fixed price gas contract. Business Gas.com offer bespoke fixed price contracts tailored to meet specific business needs. You can choose from a short or long-term contract and select a payment method which suits you. They protect you from unexpected price rises. The gas unit price will not go up for the duration of your contract. They are easy to manage and the amount you pay for your energy is easy to predict month by month. This means you have more time to concentrate on your business. Prices can be fixed over different periods and you can choose a payment method which suits you. Business Gas.com offers a hassle-free transfer service so you don’t have to worry about unexpected bills or interruptions to your gas supply. Timing the market accurately is crucial to getting the best deal on your fixed price gas contract. Businesses should be attempting to ‘lock in’ prices when they are at the lowest possible unit rate. Contracts can be renewed at any time, not just when your contract comes to an end. The market for gas can be volatile which makes buying at the optimum rate more difficult. You always run the risk of prices going even lower after you have purchased. Buying at the best rate requires a well-reasoned purchasing strategy. You should try to track the price of energy over a period and plan the purchasing decision well in advance. Energy brokers are always tracking the energy prices and use market intelligence as well as industry experience to help inform customers purchasing strategies. 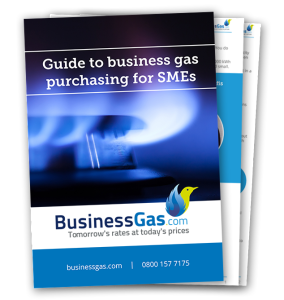 Alternatively, you can find more helpful hints and tips about fixed price purchasing in our Business Gas Buying Guide for SMEs.